Union Coop Raises 29 Flags on top of its Branches and Commercial Centers. 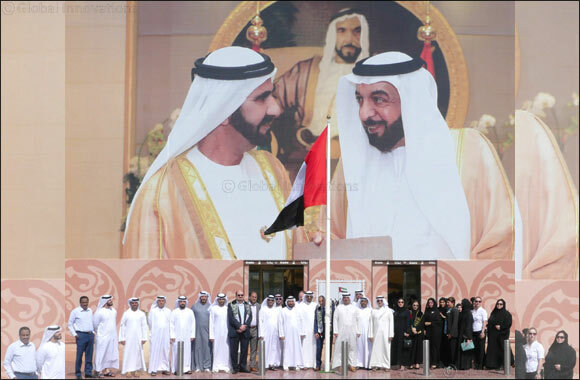 The celebration comes after the Great Leader's call to come together in celebration of UAE Flag Day. Dubai, UAE, November 01, 2018: Following the directives of His Highness Sheikh Mohammed bin Rashid Al Maktoum, Vice President and Prime Minister of the UAE and Ruler of Dubai, Union Coop raised 29 national flags high above its 18 branches and Commercial Centers in the Emirate of Dubai on 1st November. “It is due to the wise leadership's attitude and people of UAE, the UAE flag has not only embraced the sky but reached the space as well. One of the major reasons for UAE's great achievement is its people, who are loyal enough to give their lives in order to keep their national flag as high as the dignity and pride of their wise leaders and citizens of the UAE.” Said Al Falasi.